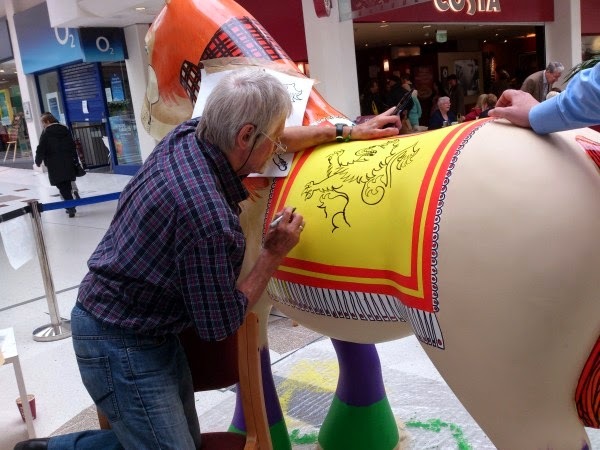 When I was in a shopping centre today I saw Scottish artist Malky McCormick painting a large plaster Clydesdale horse. This is in preparation for a display in South Lanarkshire from 25th June for 10 weeks. 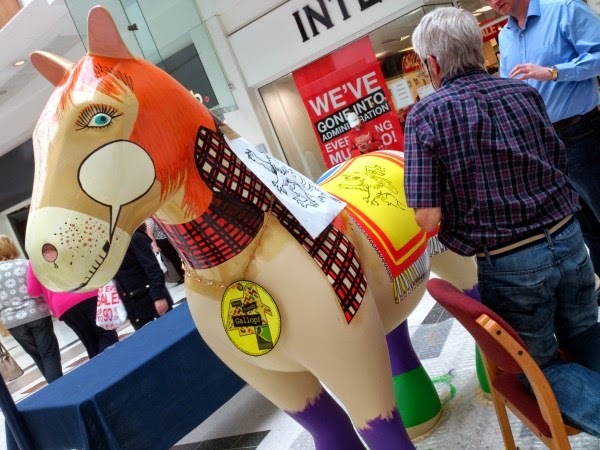 The horses will be located in streets and open spaces in Hamilton and South Lanarkshire. 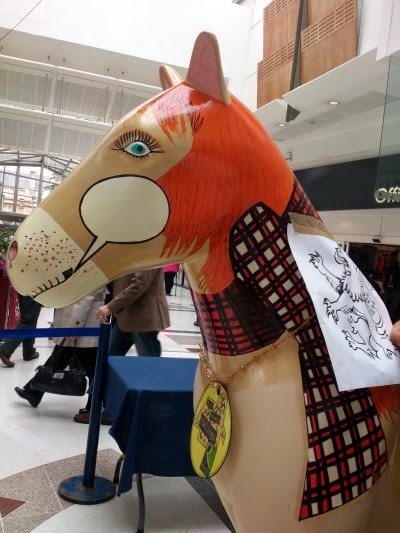 At the end of the 10 week period the Clydesdale horse sculptures will be auctioned off to raise funds for local charity, The Kilbryde Hospice. Malky McCormick has illustrated many magazines and comics and worked on many advertising campaigns in the UK. He is well known as for his caricatures. The Lion Rampant is also known as the Royal Standard of Scotland and the Banner of the King of Scots. Its correct use is restricted by an Act of the Parliament of Scotland to only a few Great Officers of State who officially represent the Sovereign in Scotland. It is used officially at the Scottish royal residences of the Palace of Holyroodhouse, Edinburgh, and Balmoral Castle, Aberdeenshire, when The Queen is not in residence. The Royal Standard of the United Kingdom used in Scotland is flown when the Sovereign is present. The horse should look very nice when it is finished and I look forward to seeing all the horses on display.